McDonald’s Canada is serving up three spicy variations of its McChicken sandwich. McDonald’s Canada is turning up the heat on one of its most beloved menu items. For a limited time, the fast-food franchise system will serve up spicy variations of its McChicken. Ghost Pepper McChicken (available Feb. 26 to March 11). 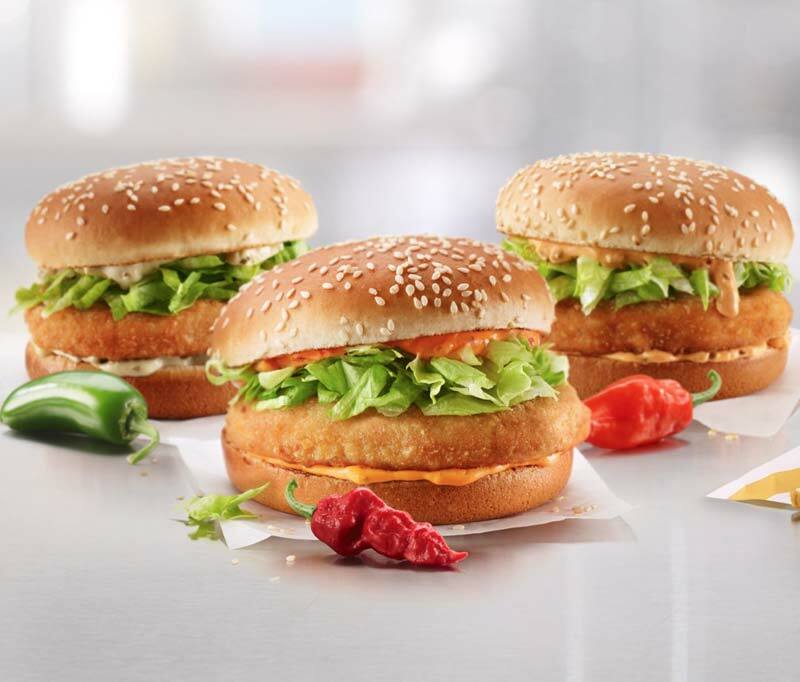 “The McChicken sandwich is an iconic menu item, so offering spicy versions will be an exciting new take on the classic,” said Milesa Chu, menu development consultant with McDonald’s Canada. Diners are encouraged to share their spicy McChicken thoughts on Twitter, using the hashtag #SpiceFace.